Windows Media Player for Windows 7 - A popular multimedia program, which is produced by the famous company Microsoft. The application allows you to play audio and video files, compile a library of data and view images. Supports many different multimedia codecs and digital resolutions. Thanks to additional plugins, the utility can impose special visual effects while playing music. The built-in file log makes a list of reproduced data and saves the history of watched videos, with the possibility of their automatic inclusion after the program launch. 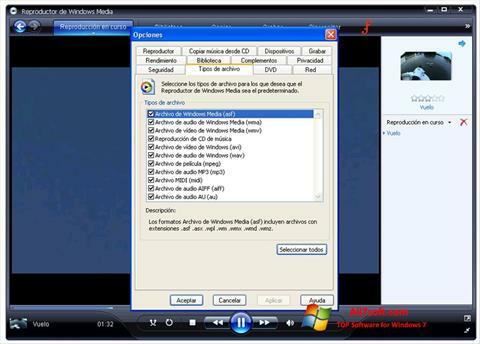 You can free download Windows Media Player official latest version for Windows 7 in English.